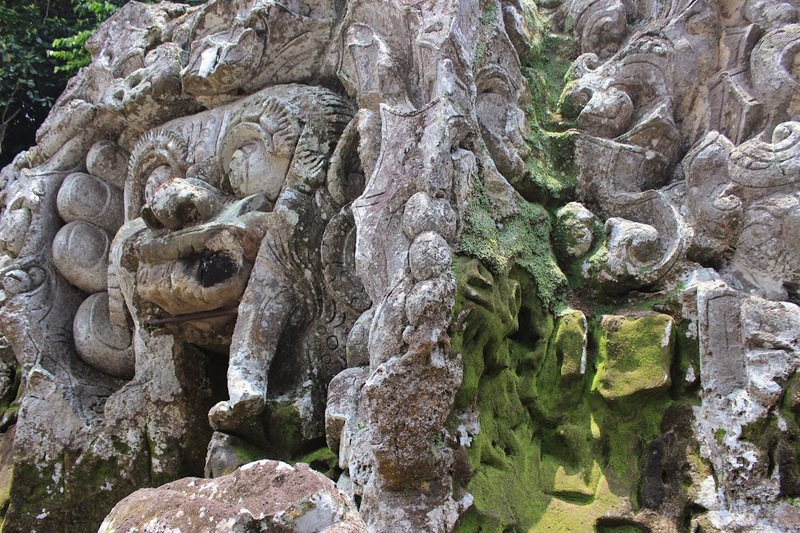 Goa Gajah, or the Elephant Cave, is a temple near Ubud. You can access it in various ways. I made my way there with a pedal bike, but you could easily get there by scooter if you are brave enough to face the chaotic streets. I got lost on the way, so it took me quite a bit longer to make it there, but it is a nice ride if you actually go the right way. But getting lost meant that it was a bit too long and hot to be entirely pleasant. However, it was quite nice on the way back (when I actually took the right path). Despite the heavy circulation around me when I was biking, I would highly recommend doing it this way. There was something rewarding about being able to stroll the countryside at my own pace. 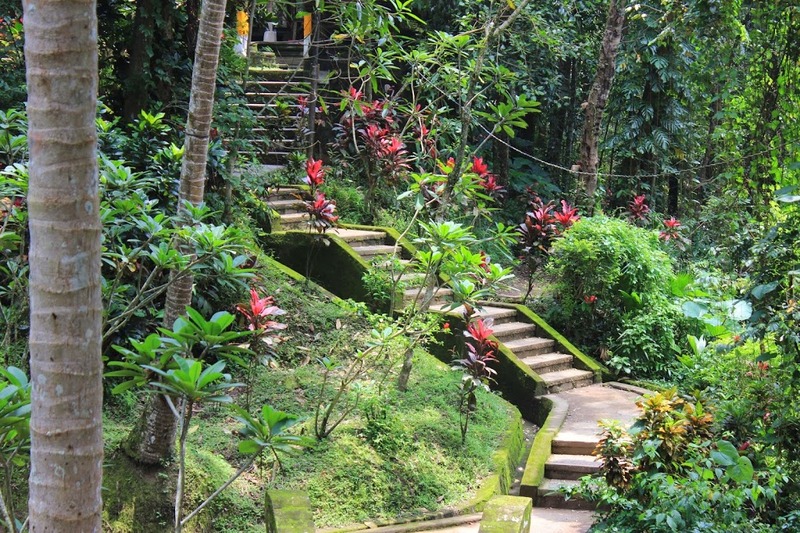 After quite a bit of pedaling, I finally got to my destination: Goa Gajah. The name comes from the carving on the entrance of a cave found on the grounds. It was once thought to represent an elephant, but now people think it’s actually the representation of a demon. What do you think? When you step through the demon’s mouth, the density and humidity of the air weigh down on you. The inside is T shaped and, on the left, there is a statue of Ganesh. I saw many people standing in front of it meditatively, as if they were paying their respect. There was an eerie feeling to it, to which the enclosed space and the incense must have contributed. Then, as you turn to get out, you can’t help but notice how magical the entrance is. The striking thing for me was the light at the end of the tunnel. It’s hard to explain, but to me it almost felt as if the light and darkness were actually tangible. It reminded me a little of the entrance to New Grange in Ireland. Point of interest, this cave is listed on the tentative UNESCO World Heritage Site list. I was told by a local that Goa Gajah receives a lot more hype than it deserves. I think I have to disagree on that one. I mean, look at the idyllic grounds! It’s magical, you would almost think you have just woken up in a fairy garden or something! Finally, there was a bath fed with water coming from the vases held by statues of women. This water is now deemed to be holy and is used in purification ceremony to repel evil spirits. 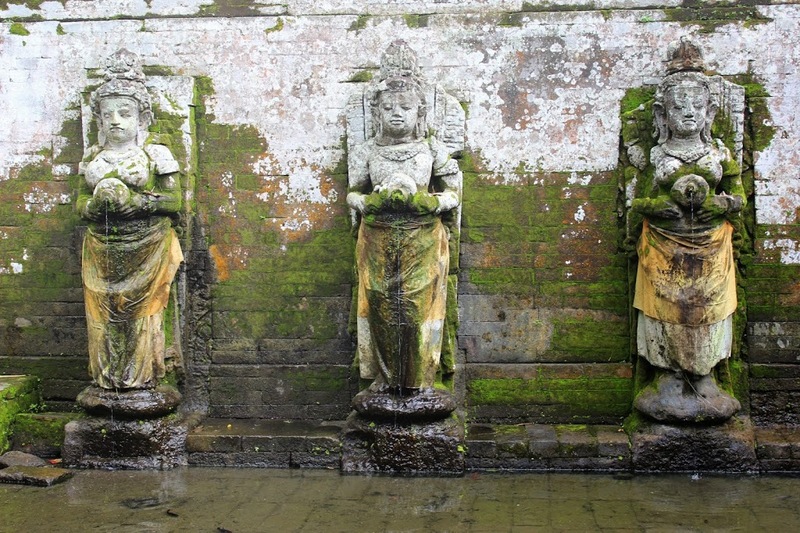 Previously, Balinese used to believe this was the Fountain of Youth. I heard later that there was a secret path leading to the river. Sadly for my adventurous self, I had not found it or heard about it when I was actually on site. I also met this strange priest on the grounds. 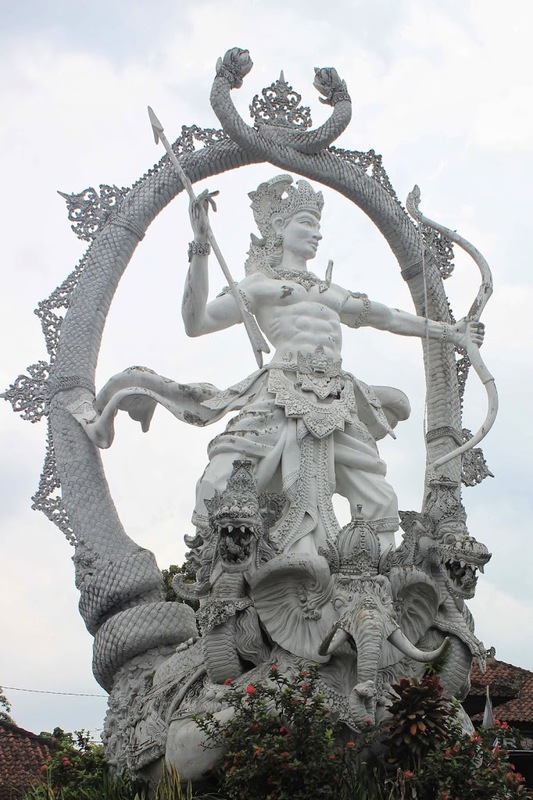 I don’t think he speaks any existing language, not even Balinese. I think he expresses himself in onomatopoeia. I assisted to a ceremony and I will admit I was not very comfortable with it. First he pushed his nose against mine three times (this brought his mouth to close to mine for comfort). The he made this strange smelling noise as he was pretending to smell me. I’m still not sure what that was about. I asked a local, but she couldn’t tell me what this was for. She hypothesized that this was meant to mimic an elephant, because of it’s big trunk. I have a feeling we’ll never know for sure.